Even though Danielle Staub is not a full-time cast member on Real Housewives of New Jersey, she always brings it. During the Season 9 premiere episode, there was some major foreshadowing for drama. Danielle was talking to anyone who would listen about Dolores Catania’s ex-husband/current roomie Frank Catania getting disbarred. Danielle’s bridesmaids Margaret Josephs and Teresa Giudice seemed overwhelmed by her wedding planning demands. Not much happened, but the are laying the groundwork for future drama. Plus they threw two new girls in the mix, which has to really sting for Danielle. 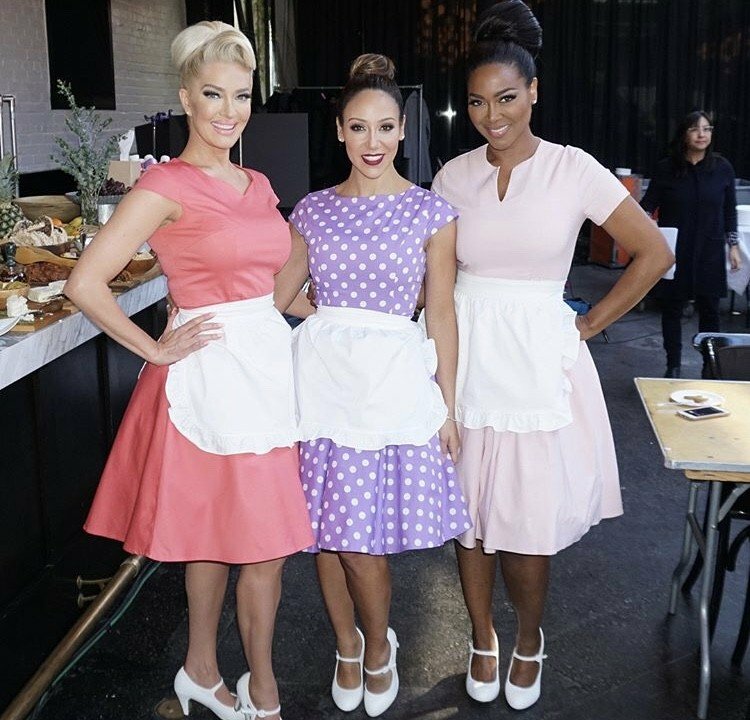 This is her second season as a “Friend of the Housewives,” yet Jackie Goldschneider and Jennifer Aydin are full-time cast members. 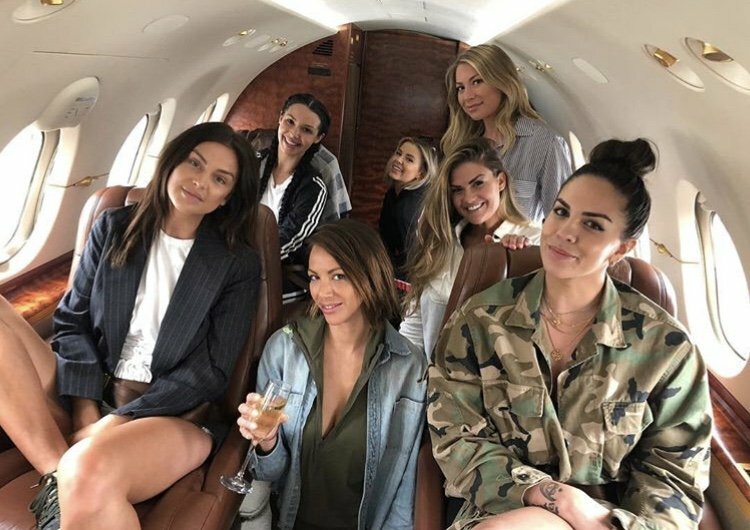 For the most part, the story lines for the next Real Housewives of New Jersey have been kept under wraps, but some things have leaked, of course. Teresa Giudice has pulled a Tamra Judge. Before you jump to a bunch of conclusions about what that may mean, all I’m saying is that she just competed in a bodybuilding competition. Teresa had her brother Joe Gorga and sister-in-law Melissa Gorga on hand for support. Teresa’s costar Dolores Catania was also there since her son Frankie competed, which means more shirtless Frankie scenes to bless the fandom. There is only one Bethenny Frankel in the Real Housewives franchise. Even though almost every Real Housewife does the most to monitize her status as a reality TV star, more often than not, these business ventures are actually pretty cheesy. Some women endorse hair growth vitamins while they’re obviously wearing extensions, others have no shame pushing laxative teas, others are proud to rock blinged out running sneakers. These ladies are hustlers, that’s for sure. In Dolores Catania’s case, describing her next business move as “cheesy” is actually appropriate and not-at-all insulting. This is because the Real Housewives of New Jersey star actually has her very own line of cheese for the Real Housewives fans (and whoever else) to enjoy. This Real Housewives of New Jersey trip in Milan took an unexpected turn when an(other) argument about Siggy Flicker and Dolores Catania walking in the Posche fashion show got out of hand. Siggy called out Margaret Josephs for referencing Hitler and accused her of being anti-Semitic. Danielle Staub felt excluded from the scene argument and dismissed so she threw a glass in the middle of her screaming match with Siggy. Worst of all, it looks like they left before anyone got to eat food at that Italian restaurant.